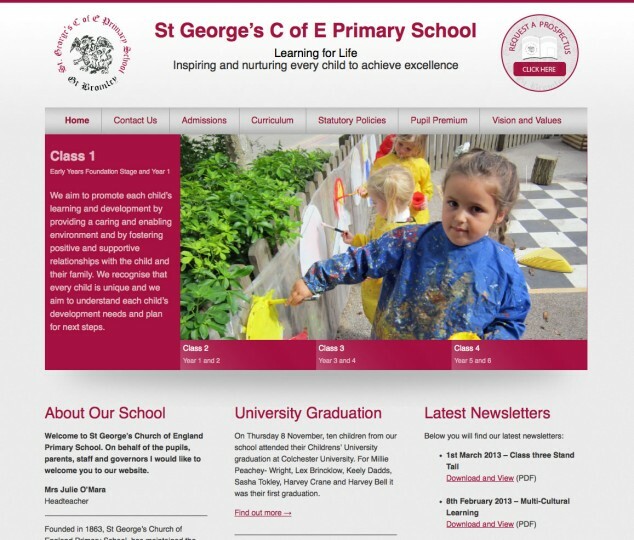 St Georges C of E Primary School in Essex needed to upgrade their website, using a CMS that allowed them to manage their content themselves. Schools have many stakeholders including parents, staff and the local community; keeping everyone up to date with school activities can be made so much easier with an easy to update website. Staff don’t have the time, or resources, to add HTML and CSS skills, thankfully WordPress is so easy to use anyone can be up to speed in a few hours.